What are your goals for the new year? Better health? More travel? A happier, stress-free lifestyle? No matter what you have planned for this year, we’re here to tell you that positive thinking can help make your goals a reality. Think about how you feel when you focus on the negative. If you’ve spent time stressing about your job, worrying about paying off that looming debt, or fixating on the potential outcome of an illness or health issue, you’ve probably noticed that your negative thinking didn’t actually help to ease the situation. Chances are it just made you feel worse. That’s because negative thinking actually narrows the mind. 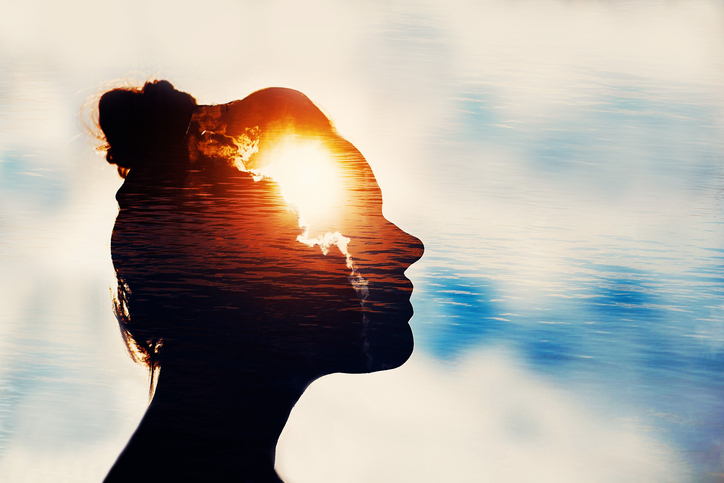 When you are thinking about a particular fear or worry, the mind has trouble focusing on anything else, meaning that there is no room for other, possibly positive outcomes to break into your mental picture. This can lead to increased stress and anxiety, which can affect your physical and mental health by contributing to cardiovascular problems and nervous disorders. In other words, negative thinking is measurably bad for you. Negative thinking is also self-defeating. After all, when you can’t even imagine a positive outcome, what’s the use in even trying to bring one about? That’s why positive thinking is such a big part of what we do here at OHI. We believe that positive thinking creates the attitude and mental creativity necessary to produce real, positive results. So What Is Positive Thinking, Exactly? Positive thinking is more than simply ignoring your problems. In fact, with positive thinking, you face your problems head-on by acknowledging them and finding productive ways to overcome them. It’s also more than simply thinking happy thoughts. Positive thinking is the disciplined act of creating and holding positive results in your mind, and bringing those results into the real world through consistent, passionate mental work. After all, negativity is seductive and insidious. How many times have you found yourself thinking about nothing in particular, only to be invaded by pessimistic thoughts and ideas? That’s why positive thinking requires practice, focus, and diligence. At OHI, this is one of the cornerstones of what we do. With daily meditation and prayer, we learn to calm the clutter of our minds and achieve focused mental clarity. We learn how to create productive visions for our lives and forge connections to our desired outcomes that engender the drive and determination required to achieve them. We also learn to release the stress, trauma, and pain that lingers in our minds and clouds our thoughts with negativity. Whether you’re looking to conquer your New Year goals, overcome a long-term health issue, or simply rejuvenate mind, body and spirit, book your retreat at OHI today, and experience the true power of positive thinking first-hand. Get encouragement, support and inspiration to help you achieve your goals for a healthier you physically, mentally and spiritually at Optimum Health Institute (OHI) missions in San Diego and Austin, Texas. Visit our website at www.optimumhealth.org , and call us at (800) 993-4325 to make your reservation.